When Sonia Nassery Cole set out to film The Black Tulip in her homeland of Afghanistan, she knew the odds were against her; she was told time and time again that filming inside a war zone would be impossible. 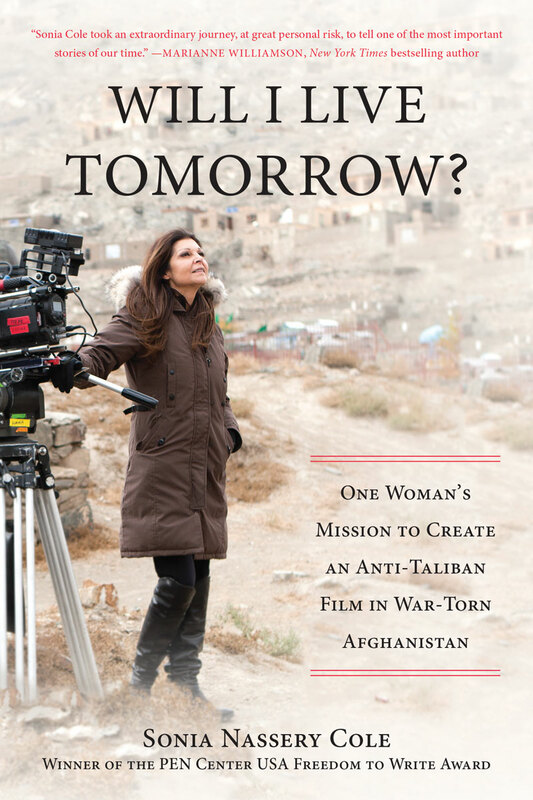 What she didn’t anticipate was how intent the Taliban and its sympathizers were on halting the film’s production—the crew encountered extortion, government corruption, kidnapping attempts, and death threats, even with around-the-clock security. Her cinematographer fled after two days, and many others followed. After 9/11, Cole wrote The Black Tulip, based on a true story of a real Afghan family. The plot was simple: After 2001, when the Taliban was routed, an Afghan family opened The Poet’s Corner—a restaurant with an open microphone for all to read poetry, perform music, and tell their stories. But the Taliban didn’t approve, and the family’s new-found hope proved fleeting as it struggled to maintain the restaurant and its vibrant way of life. Selected as Afghanistan’s official submission for the Best Foreign Language Film at the 2010 Academy Awards, The Black Tulip is a modern portrait of Afghanistan that captures the plight and resilience of its people. Without financial support from a studio or anyone else, Cole self-financed the film by mortgaging her home and selling her belongings. Then, with everything on the line, she left for Kabul to make the impossible possible and set out to gather the right people who would risk their lives and willingly be part of the production. In Will I Live Tomorrow?, Cole gives an intimate look into what went on behind the scenes of making a controversial film in the heart of a war-ravaged country—the looming terror the Taliban creates among Afghans everywhere and the challenges and fear the cast and crew faced every day. Will I Live Tomorrow? is a memoir about one woman’s struggle to make a difference in a violent world. Sonia Nassery Cole came to the United States from her native Afghanistan as a teenager. In the early 1980s, Cole wrote to President Reagan requesting help for the people in her native Afghanistan, under attack then from the Soviet Union. The president invited her to Washington, D.C., and she worked with him to get congressional authorization for intervention in Afghanistan. Since then, Cole has actively worked with various organizations and committees set up for the improvement of the conditions and quality of life in Afghanistan. Among these is the Afghanistan Relief Committee, set up by past U.S. ambassadors to Afghanistan. In response to the urgency of humanitarian relief required in Afghanistan following Western military intervention post 9/11, Cole founded the Afghanistan World Foundation (AWF). The AWF has worked with various other organizations on making healthcare and education more accessible to Afghan children. Her film The Black Tulip was Afghanistan’s official submission to the 2010 Academy Awards and releases in the United States on October 26, 2012. The film has premiered in prestigious film festivals all over the world.